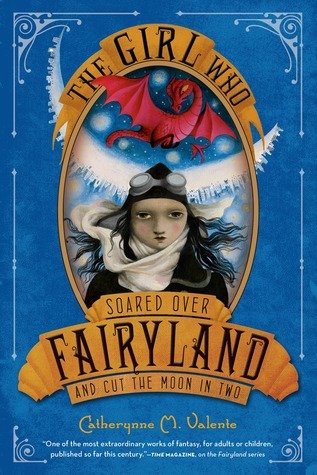 The UK finally get The Girl Who Circumnavigated Fairyland! I’ve been pining after this book since it was just a young ARC in the US so when Constable & Robinson contacted me offering a review copy I may have jumped up and down waving my hands in the air going, “Ooh! Ooh! Yes please! *kisses feet*” And by golly it didn’t disappoint. It’s as bizarre and fantastic as the blurb and cover art leads you to believe. 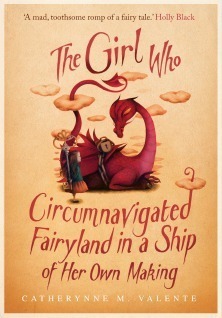 The Girl Who Circumnavigated Fairyland (in a Ship of Her Own Making) is an utterly nonsensical, charming, and of course, brilliant book with possibly the longest title I have ever seen. The characters are utterly bursting with colour, there are little things throughout that had me giggling and at one point almost in tears, and Fairyland itself.. wow. 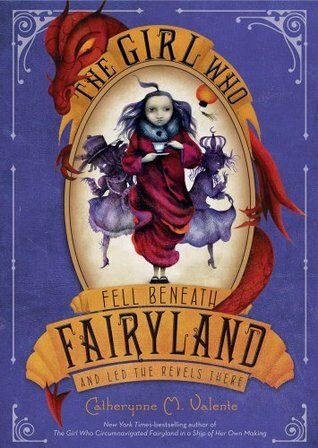 Fairyland is a fantasy world that is entirely conscious of what it is: a fairy tale world. And while knowing this, lovingly stroking it like a precious cat. It is charming and fantastic, simultaneously it’s dark and terrifying. September, the protagonist, I didn’t entirely love but that was most likely because I was way too busy loving everything else in the book. 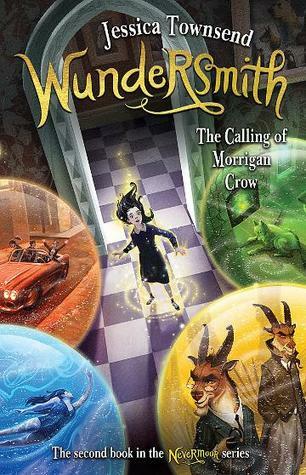 Catherynne M. Valente has such imagination that you are able to completely lose yourself in Fairyland. If you haven’t read this yet, whatever your reading preferences may be, I suggest you do so. Recommend your local libraries order copies in and tell every book worm you know that this is a great book for young and old readers. It’s a modern fairy tale reminiscent of Alice in Wonderland and The Wizard of Oz with just a dab of darkness at its’ heart, just enough to rock your emotions. It is exactly the kind of book that if you don’t put down quickly, you won’t at all and it ends in such a way that everything is well wrapped up and you’re a happy reader, but it leaves a way in for a sequel. I only wish there were more books like this one! Hannah is a twenty-something bookworm and gamer who spends her time escaping into fantasy worlds of all kinds: written, visual, interactive, and self-created. She also blogs at Jaedia's Menagerie and Once Upon A Time, and can be found absorbed in anime, chick lit, historical fiction, contemporary and non-fiction as well.